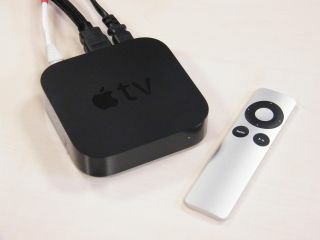 The somewhat reborn Apple TV box continues to perform well with sales now topping 2 million according to one analyst. The £99 device, which allows you stream movies, TV shows and other web-based content to your television set has enjoyed somewhat of a renaissance since it was relaunched in October 2010. The figures come from analyst Ming-Chi Kuo of Concord Securities who surveyed a host of Apple suppliers. According to his estimates, Apple shipped over a million devices before Christmas and a further 820,000 between January and March of 2011, indicating that sales are holding steady. The US version of Steve Jobs' long-running "hobby" project offers more than the UK iteration, with third-party apps like the all-conquering Netflix, Major League Baseball and NBA Basketball proving popular. The UK apps are limited to iTunes Movie Rentals and YouTube, but the incorporation of AirPlay functionality has proved useful, allowing iOS device owners to send most audio and video content to their TV sets. Apple rebooted the device at its September launch event with a friendlier price-point, new sleek design and no hard-drive, making Apple TV a streaming-only device. We'd still like to see a larger array of apps on the UK version of the device though. LOVEFiLM, SkyPlayer and BBC iPlayer anyone?